‘No Job too Small’. It may be a well worn cliché but it certainly applies to our domestic works. 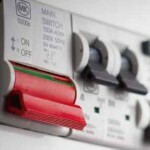 Whether you are looking for additional socket outlets, another telephone point, replacement consumer unit or a complete property re-wire, Eastbourne Electrical can deliver. Our small works team, headed by Craig Lundy is always on hand to offer practical advice as well as free no obligation estimates. As an NICEIC registered domestic installer we are able to certify our own works to the relevant building regulations. This makes the completion of our works quick, efficient and painless for you, the customer. Despite what you may have been told, a consumer unit (fuseboard) need not necessarily be replaced simply because it has rewireable fuses, cartridge fuses or older-type circuit-breakers, as these devices can provide satisfactory overcurrent protection. Similarly, a consumer unit need not be replaced because it does not incorporate Residual CurrentDevice (RCD) protection, as there may be ways to provide this protection (where required) other than replacing the consumer unit. The IET Wiring regulations are frequently updated to reflect the latest risks and technologies. The requirements for consumer unit and circuit protective devices, in particular, have under gone major changes over the last 10 years and are still being improved. From January 2015 Amendment No.3 to BS7671 IET Wiring Regulations prescribe that within domestic (household) premises, consumer units and similar switchgear assemblies shall have their enclosures manufactured from non combustible material, or be enclosed in a cabinet or enclosure constructed of non combustible material. If you are unsure that your electrical installation meets with the requirements of the current edition of the Wiring Regulations; Eastbourne Electrical would be pleased to provide you with guidance. We can also provide you with a free, no obligation quotation to upgrade your current fuseboard, if required, to a new all metal split load or high integrity consumer unit. Give our team a call and we will be happy to discuss this with you. Punctual, informative, excellent advice given, polite and pleasant. 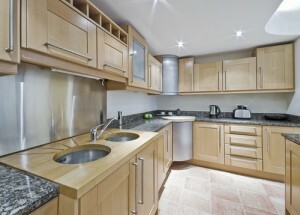 Friendly and efficient, also thoroughly talked through additional work to be quoted for. Prompt, efficient service, very pleasantly carried out and well explained.